In late May, a wildfire swept through the Santa Cruz Mountains only a few miles from Cindy’s RL ranch. Many fire trucks and helicopters came to town, along with hundreds of firefighters. In the weeks following, more fires broke out threatening more homes and lives. 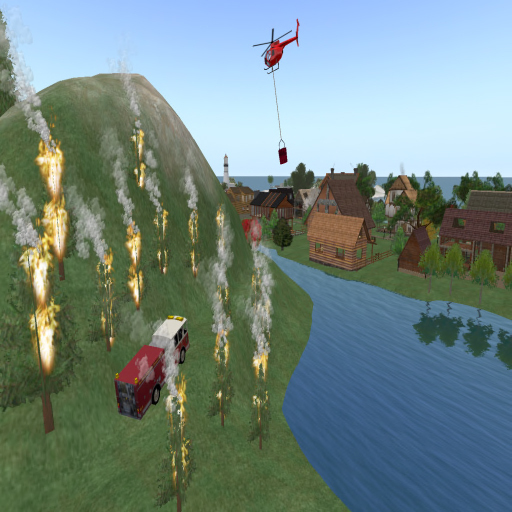 More recently, a freak lightning storm caused four fires, which came much closer to our RL home. 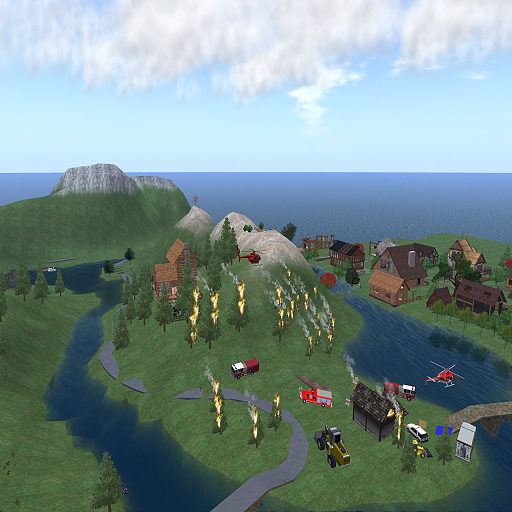 We built California Wildfire Virtual Base Camp to demonstrate what was going on in our RL for a month. Trucks, helicopters, gear, food, and emergency medical props were set up to demonstrate the emergency response. A slideshow of photos was compiled, and the video screen was updated with new video reports daily. 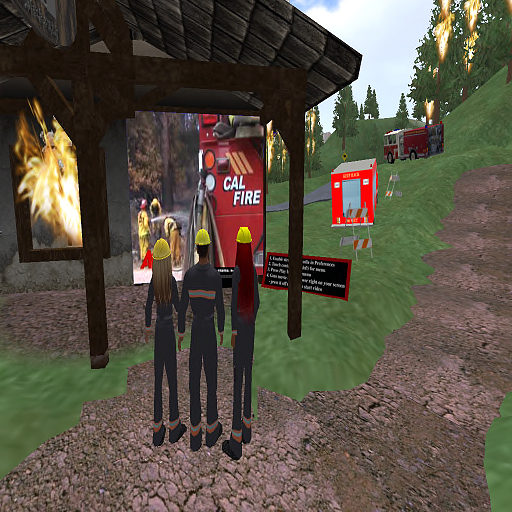 Secondlife’s ERST and SLFD groups assisted with the virtual build and the display was announced to the public. 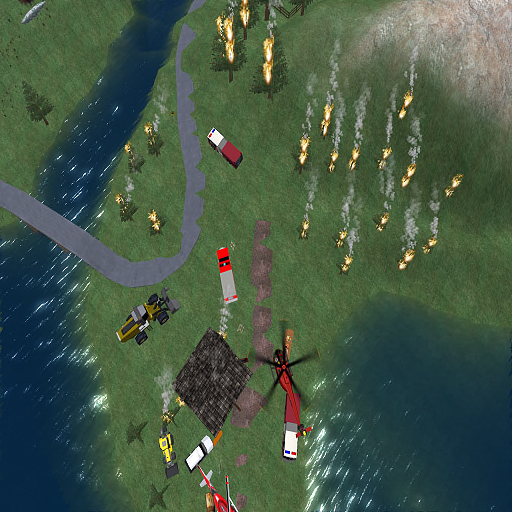 The California Wildfires Virtual Base Camp is a tribute to the firefighters, pilots, and other support who risk their lives to save people’s homes and animals in real life. Aerial view shows strong winds causing fast moving wildfire.